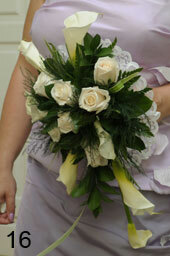 Here is a small selection of available bridal bouquets. 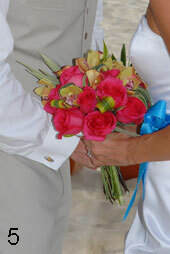 Of course you can change colors or models according your needs, or ask us if you have special requests. 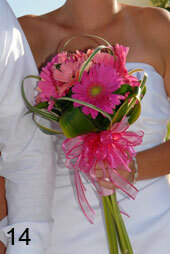 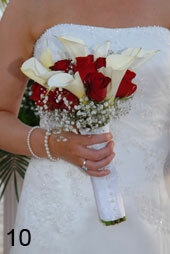 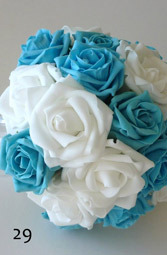 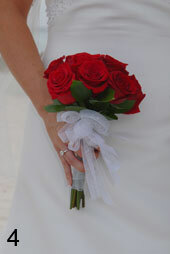 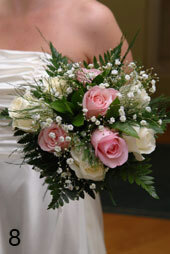 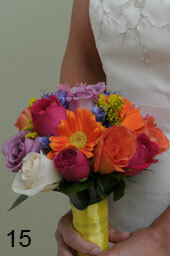 Also available bridesmaids bouquets, boutonnieres, corsages, centerpieces, petals, wrist corsages etc. 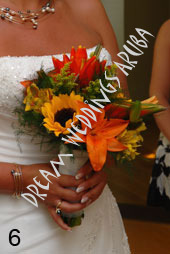 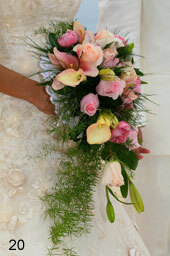 Ask us which bouquets will fit our packages. 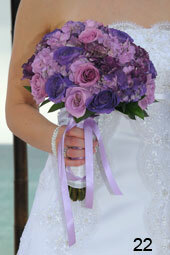 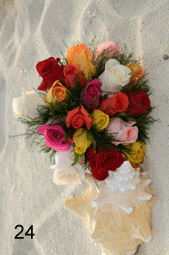 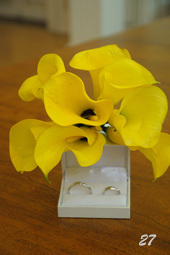 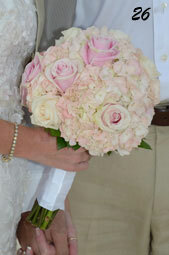 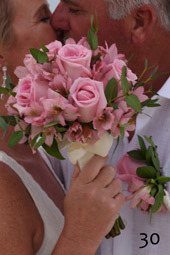 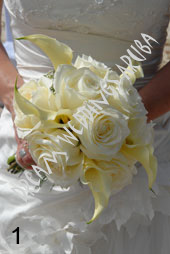 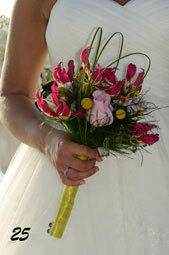 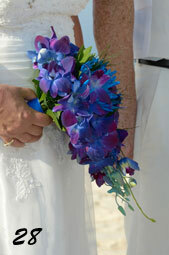 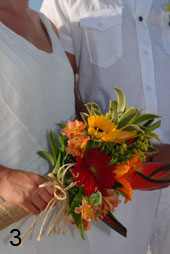 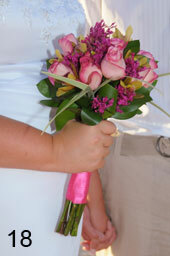 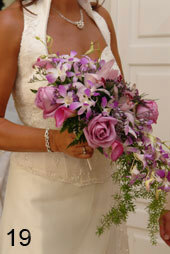 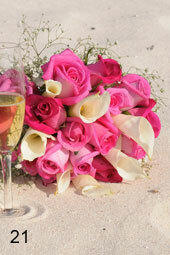 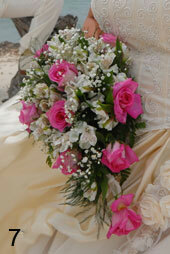 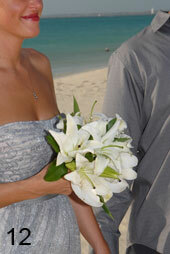 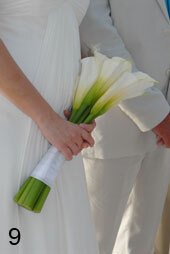 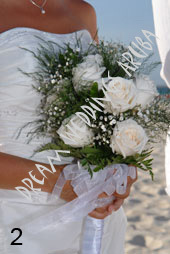 Our Aruba bridal bouquets contains the freshest flowers like orchids, lilies and roses. 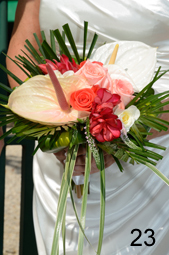 We offer several bridal bouquets, boutonnieres and corsages with calla lilies in several colors, white cymbidium orchids with pink throat, roses in several colors, orchids, baby breath, seeded eucalyptus, mini calla lilies, tulips, stargazers, arthurium, daisy flowers etc.